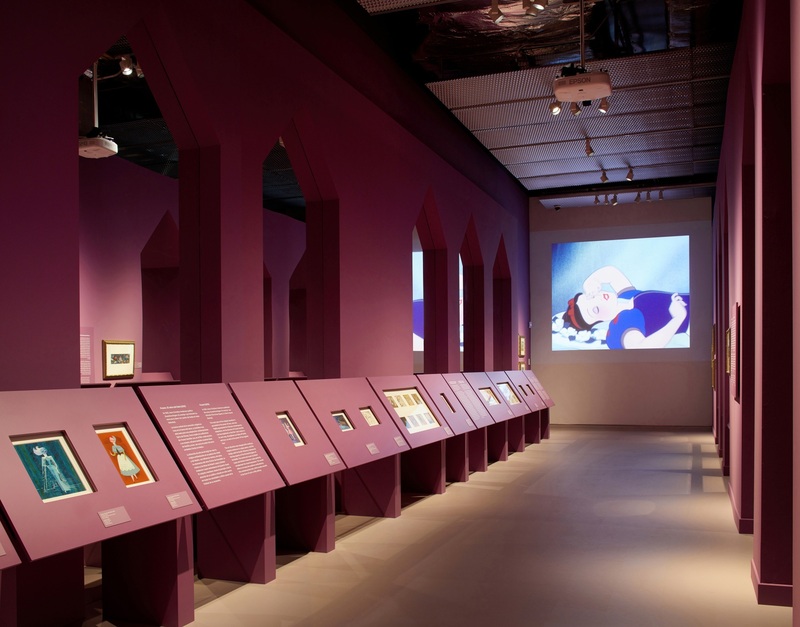 This museum project focuses on the creative process at Disney, and its references and inspiration when telling stories through the medium of film. This exhibition is laid out as a trip to through the space film, where the first stop is the Disney creative studio. The recreation lets us study how the cartoonists worked and what animators references were, including myths, stories, fables, etc. 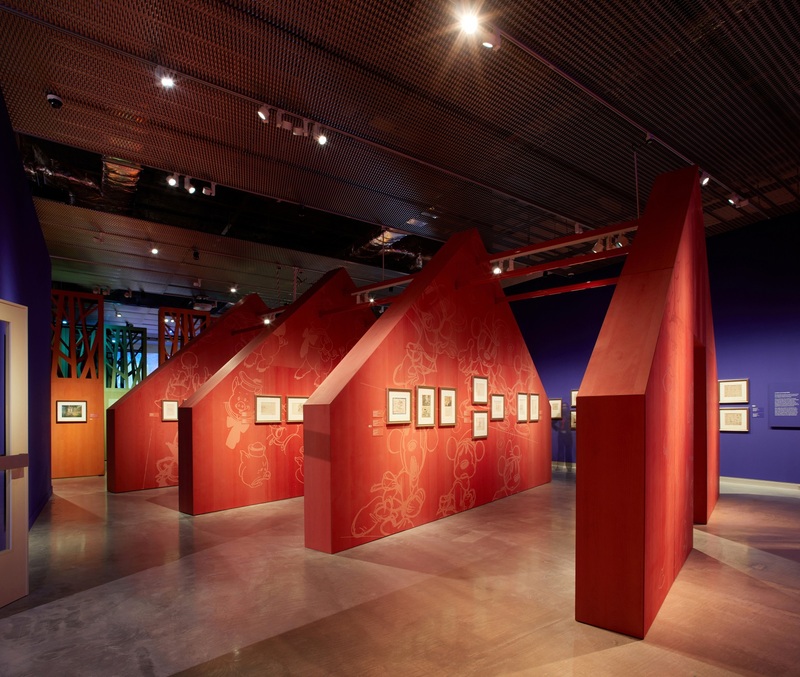 The drawing tables are the exhibition displays, with a strategic inclination that allows children and adults to observe the works from a good angle. Then we exit the studio and we find ourselves in a magical world, a cabin in the middle of the woods, which recalls old fables and the story of “The Three Little Pigs”. There are trees around the cabin, recreated through a stylization of the room’s columns. 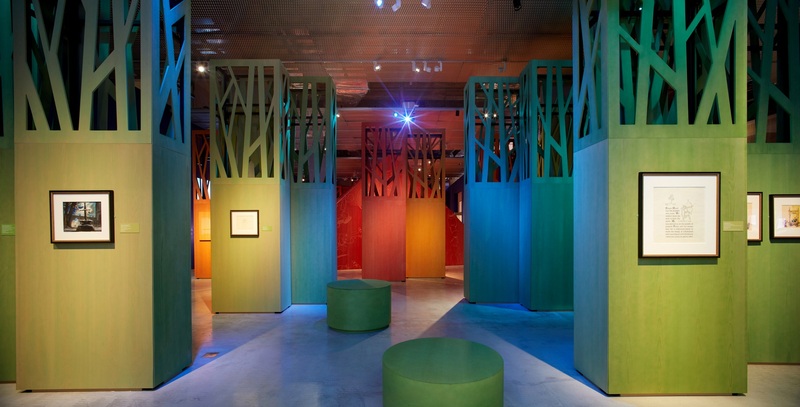 The mise-en-scène of this space is not realistic, but sensory and light-based. Different scenes from Disney films that take place in forests are projected here. The space is closed off by a layer of two-dimensional light, an elastic textile base that is stretched out, representing the border between the forest and the castle. Here we arrive at the end of the story, between shadow and light, we find a construction of large-scale porticos, multiplied into infinity through the use of mirrors. At this point, scenes that take place in palaces and castles are projected, where the visitor feels like the hero of a fairy tale.